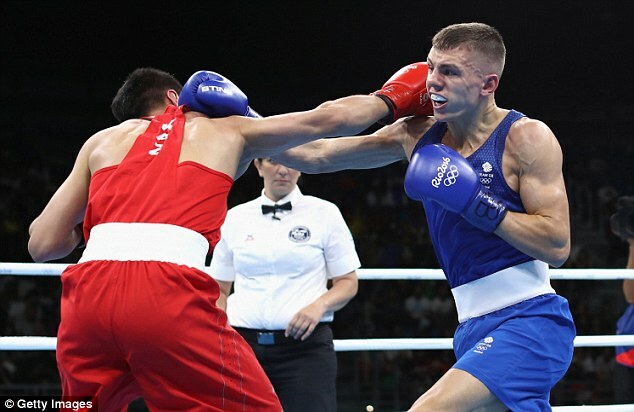 Floyd Mayweather, the best ever as he proclaims himself, would have had trouble beating the best of the Olympian boxers against whom Britain’s young medal prospects find themselves pitted in Rio. 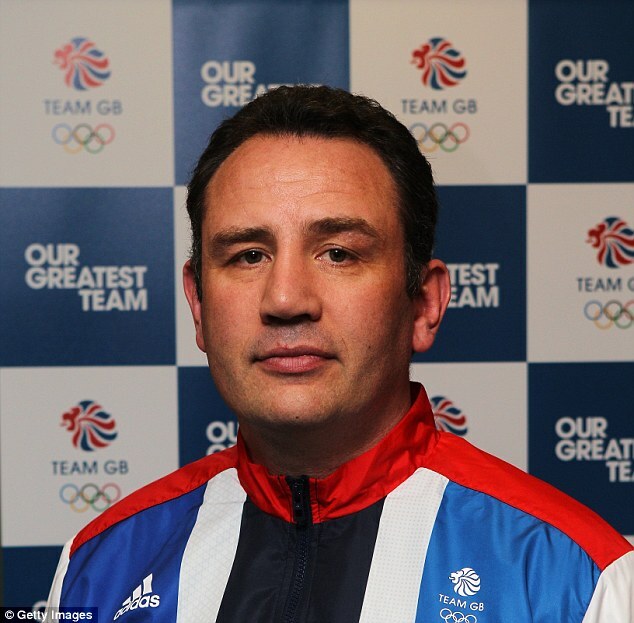 That is the assessment of Rob McCracken, head coach of Team GB and former trainer of Carl Froch. 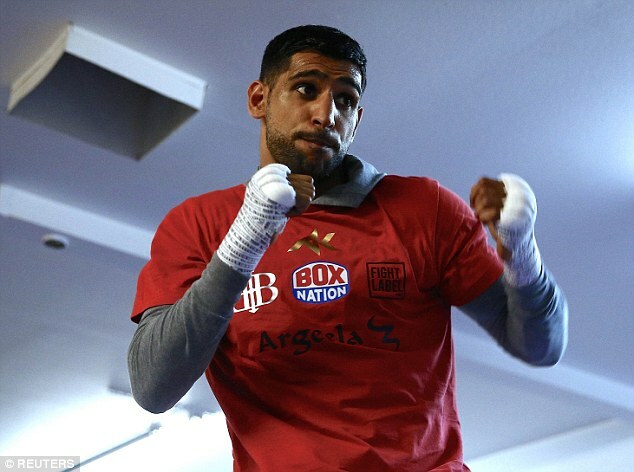 Mayweather was tempted when the Games were thrown open to professional boxers for the first time ever, as were Manny Pacquiao, Wladimir Klitscko and Amir Khan. There were fears that the amateurs would be in extreme physical danger against the pros but the three journeymen who crossed over from the professional ranks were all beaten early in the competition. McCracken doubts that the superstars would have found it much easier. Not even Mr Money. McCracken says: ‘It’s not easy to win medals here, as the first pros found out. 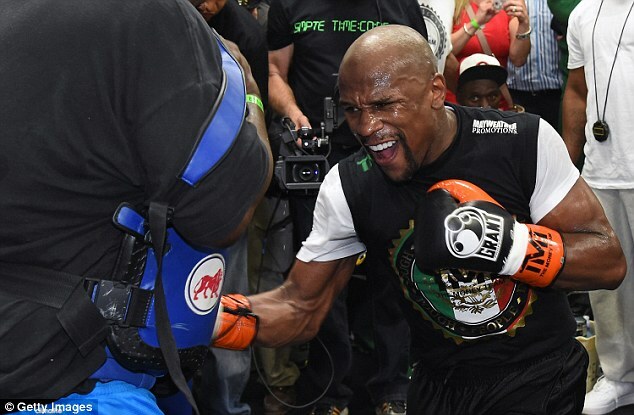 Floyd Mayweather is an unbelievable boxer but even for him the Games would have been tough. ‘It’s a problem for 12-round professionals, even the champions, coming down to fight the best three-round specialists in the world. It’s a different game. As far as Britain is concerned, it is not a given that world champions like Anthony Joshua and Carl Frampton would be selected even if they wanted. McCracken says: ‘Our programme develops three-round boxers and it important they are given the opportunity if they deserve it. 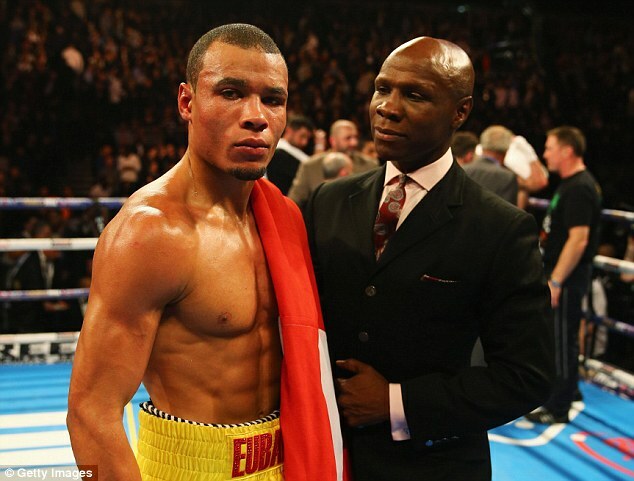 Chis Eubank Snr discovered as much when he was canvassing for a place in Rio for his son. All of which puts into perspective the GB performance thus far. After a bright start five straight eliminations provoked talk of a crisis in some quarters. McCracken admits that was a setback to team morale but says: ‘It is not easy to qualify for the Olympics and we did well to bring so many to Rio. But when you have large team you are bound to lose some early on, just as we did in London at the start of our best Games. ‘Brazil was always going to be the challenge for us. We lost all our men to the pros after London. It wasn’t a good position to be in but we made real progress with a young squad in the last couple of years. We have some genuine talent with us but not too much experience. ‘We will be in a better place in Tokyo but that doesn’t mean we are not going to win medals here. We got a tough draw, to say the least, but we’ve got on with it. McCracken rallied his troops after the fifth straight defeat. He says: ‘We had to get the mood right. We had a meeting the next morning. There is a team spirit but I reminded them that ours is an individual sport. ‘I told them that this is their big opportunity. They are boxing for their future, their careers. To change their lives and to get their reward for all the hard work and the sacrifices they make. ‘They support each other and are unhappy to see their mates beaten but I told the six still in there that it’s not about the others, it’s about you. Losses outside your weight division are irrelevant to you. Make the most of your chance. ‘Having said that big wins do give the team a boost. 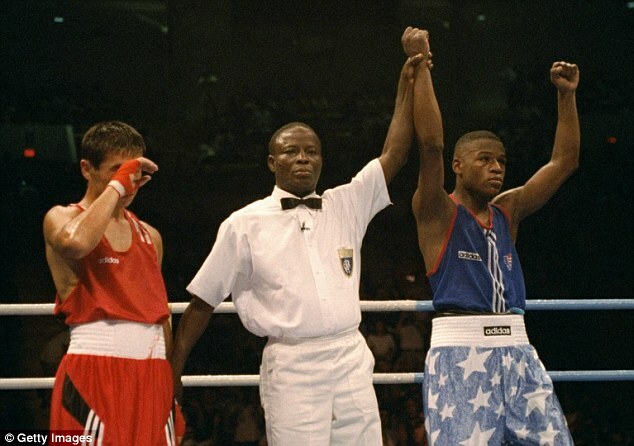 Josh Biatsu knocked out a very good, very experienced, multi-medal winning Uzbek who was the third seed at light heavyweight. Terrific. 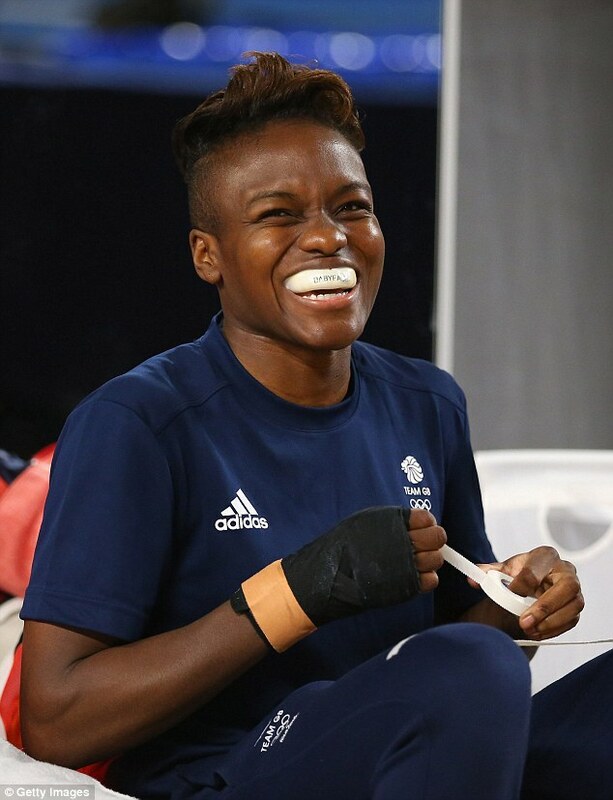 ‘In him and Nicola Adams (who starts on Tuesday her defence of the Olympic title won in London) we have two quarter finalists already and a good chance of more getting two or three more to within one fight of a medal over the weekend. ‘There are no easy fights at this stage, not with the Cubans and the Eastern Europeans who are professionals in all but name. But most of our lads who lost fought well against top opponents, gave it a real go. ‘It should help us from here on that physicality comes into it in the later stages .We have some strong athletes. ‘In Nicola Adams, Savannah Marshall, Josh Buatsi, Pat McCormack, Joe Joyce and Muhammad Ali we have some class boxers with us. With six of the 12-strong team gone, is the glass half empty or half full? The next few days will tell.